Clean energy could become so cheap there’s no incentive to build any more. Periods of low or even negative pricing are expected to become more commonplace. The plummeting cost of renewables could be a double-edged sword if energy markets fail to deliver the financial returns to justify further investments, experts believe. 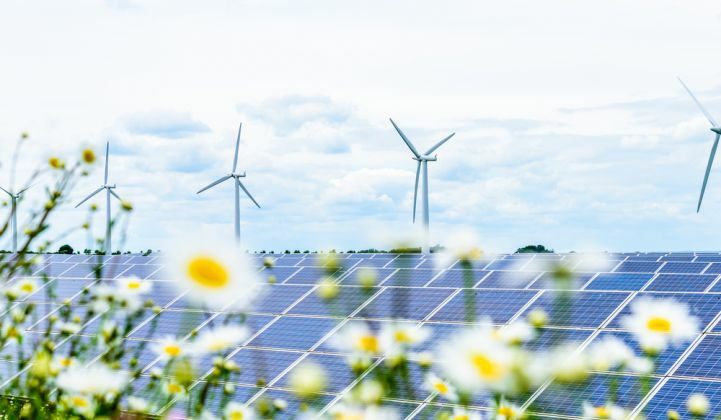 In the U.K., for example, a study by Cornwall Insight, an analyst firm, this month found that unsubsidized renewable energy projects could cease to be viable by the 2030s because solar and wind generation would have pushed wholesale power prices so far down. The company modeled the U.K. energy system and found, unsurprisingly, that periods of low or even negative pricing would become more commonplace as the level of low-cost solar and wind increased on the grid. By 2034, the analysis revealed, negative prices could account for 13.5 percent of out-turn periods. At the same time, there would be an increase of energy pricing spikes, caused by the need for flexible generation to step in when wind or solar was not available. Cornwall’s modeling showed prices could top GBP £120 ($160) per megawatt-hour for 9 percent of all out-turn periods in 2034, compared to just 0.04 percent in 2018. These pricing swings could be good news for investors in flexible generation assets and energy storage, because “increased volatility creates greater arbitrage value,” said the report. At the same time, though, a general reduction in wholesale energy prices and a narrowing window of opportunity to sell into markets already packed with renewable generation would make it increasingly hard to achieve a return on unsubsidized wind and solar projects. Cornwall estimated a 10-megawatt onshore wind project built in the U.K. in 2031 would make 34 percent less revenue than one built today. A 5-megawatt solar project, meanwhile, would see revenues cut by 22 percent. The findings echo research published in the U.S. this month by Lawrence Berkeley National Laboratory into the impact of a 40 to 50 percent level of wind and solar generation on the grid. As reported in GTM, the study, which involved modeling year-2030 scenarios across the CAISO, NYISO, SPP and ERCOT grids, found U.S. wholesale energy prices could drop by as much as $16 per megawatt-hour. As with Cornwall’s findings, the Berkeley Lab study concluded there would be more variability in energy pricing and flexible generation resources would become increasingly important. There could also be a growing role for energy storage. These impending changes in grids around the world have led some observers to question whether it might be time to overhaul the way energy markets are set up. Dr. Varun Sivaram, the Philip D. Reed fellow for science and technology at the Council on Foreign Relations, said grid operators and regulators should start planning for low-carbon grids immediately. “Failing to plan for a diverse mix of low-carbon generators could lead to premature shutdown of some resources, such as nuclear, even when keeping those resources running might be the most cost-effective decarbonization path,” he told GTM. To reduce the impact of intermittency at high renewable penetrations, grid planners should expand electricity networks, make customer demand more responsive, deploy energy storage and assemble a diverse mix of generation sources, he said. And, importantly, policymakers might need to move away from cost-only measures of efficiency, such as levelized cost of energy, as a way of choosing what types of generation are best for the grid. “The value of solar or wind changes as more of it is deployed, meaning that at different penetration levels, renewable projects that cost the same amount might fall out of the money,” Sivaram said. One way of achieving this might be to stop looking at the energy market as a single entity. In an opinion piece written a year ago, Bloomberg New Energy Finance's Michael Liebreich advocated such a transition.